There are a lot of moving parts to GCM so hopefully this quickstart guide will be useful to other developers. This post is intended to step through the parts of the process that are not described fully in the Google tutorial. 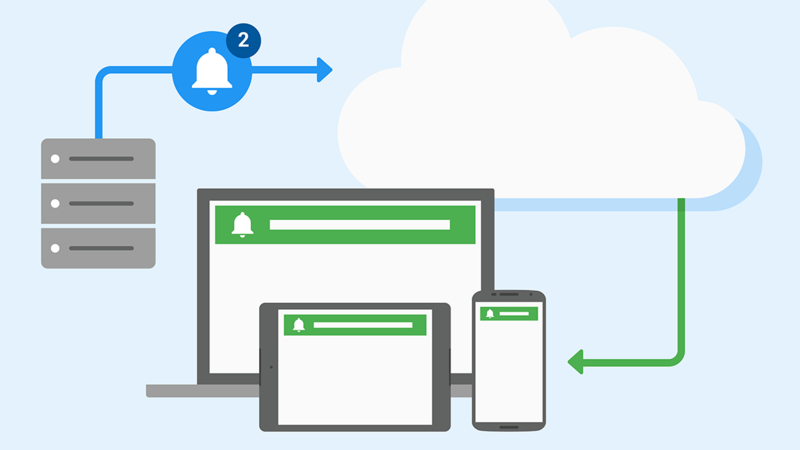 You can post notifications to Android and iOS devices with the same system. You can (with a bit of fiddling) use a cross-platform tool like Unity to develop the app with minimal platform-specific code. Your iOS app's bundle ID (found in your XCode project target General settings). It's normally something like uk.co.mycompany.myapp. Before I explain how GCM works, it's going to help to understand a bit about APNS. When you launch the app it requests the push service from the OS. If this is the first time, and the user has notifications globally enabled, then the OS will ask the user if they want to receive notifications. If they agree, the app will fetch a security token from Apple, and you'll get this in a callback. This token is what you need to send the notification to the correct device, so in that callback you need to hit your own server and store the device's ID and token. Now you have a table on your server full of devices and tokens, the final thing you need is certificates from Apple that are specific for your bundle ID. Then you can hit the APNS server to send devices notifications. In the callback from iOS, send the registration token to Google. They will give you a new token back. Register the new token on your server alongside the device ID. Now your server can hit GCM to send notifications. Create two certificates for this app ID - Follow the instructions carefully to sign them with your KeyChain. If all went well, download your GoogleService-Info.plist. You will need this in the next step. Make a note of the API key too. The server will use this to authenticate with GCM. From now on open your .xcworkspace file, not your normal .xcodeproject. Drag the GoogleService-Info.plist into your project and add to all targets. In your AppDelegate.m, add the callbacks as per Obtain a Registration Token. In your _registrationHandler block, call through to your server with your device ID and the GCM token. Some code to hit the GCM server with your API key (you got this when you registered the app) and the device token(s). An endpoint to test notifications - ideally a simple web form where you can enter a device ID and a message.